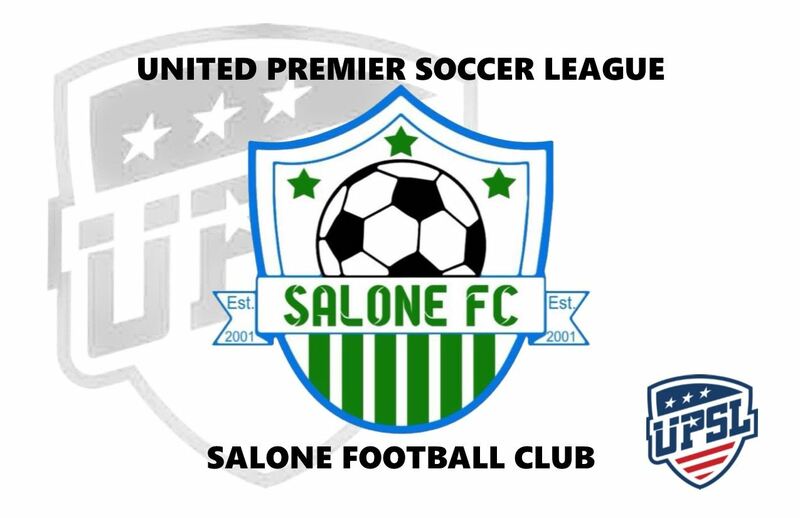 LOS ANGELES - March 7, 2018 - PRLog -- The United Premier Soccer League (UPSL) is excited to announce Salone Football Club as a new member starting with the 2018 Spring Season. Based in Philadelphia (Penn. ), Salone FC begins UPSL play in the Northeast Conference American Division, and will host its home games at 2,500-person capacity Interboro High School Stadium (900 Washington Ave., Prospect Park, PA 19076) in compliance with UPSL's Minimum Standards. United Premier Soccer League Commissioner Yan Skwara said, "We're pleased to welcome Salone Football Club. The Northeast has become a stronghold for the UPSL thanks to the diligent work of a lot a great people, and it gets stronger when clubs from some of the nation's major markets like Philadelphia want their players to seize the opportunity that is the UPSL. We wish Salone FC the best of luck as it gets set to kick off with the Spring 2018 Season." Foday Kamara, 34, is Director of Operations and Head Coach of Salone FC. A native of Liberia, Kamara is a former professional player who had stints with Virginia Royals (USL) and had trials with Celtic (SPL), among others. Salone Football Club Director of Operations and Head Coach Foday Kamara said, "When I came to Philadelphia to do this I told everyone that we're going to find a level that is attractive to the players and the community. I've followed the UPSL for several years now and it's growing every week. Everyday I'm watching for the next press release, and the UPSL is something that I know for sure is going to benefit the community. And we didn't want to wait 2-3 years' time and have some kind of regret. We want to contribute to the growth of the league moving forward." A veteran of local amateur leagues, Salone FC has in recent years participated in the Lamar Hunt U.S. Open Cup Qualifying Rounds, advancing twice to a third qualifying game. "We still have a lot of players with the ambition to play profession soccer, and this is going to turn into a big club for them," Kamara said. "Salone FC already is turning into a big club, and we have new players coming in trying to see what it takes. I really like this future of this club." Omar Bah currently serves as Team President. Foday Turay is the team's Assistant General Manager. Salone FC soon will announce its upcoming game schedule. Salone Football Club is an American Soccer club currently based in Philadelphia, Penn., and a new member of the United Premier Soccer League. Salone FC will begin play in the UPSL Pro Premier. Founded in 2001, Salona FC can participate in the qualifying rounds for the Lamar Hunt U.S. Open Cup through their affiliation and membership with the UPSL, the U.S. Soccer Federation (USSF) and the United States Adult Soccer Association (USASA). The UPSL was formed in 2011 and currently includes more than 140 teams in Arizona, California, Colorado, Florida, Georgia, Idaho, Illinois, Indiana, Iowa, Kansas, Massachusetts, Michigan, Minnesota, Missouri, Nebraska, Nevada, New Hampshire, New Jersey, New Mexico, New York, North Carolina, Ohio, Oklahoma, Oregon, Pennsylvania, Rhode Island, South Carolina, Texas, Utah, Virginia and Wisconsin. UPSL is the fastest growing Pro Development League in the USA, with 140-plus teams targeted for 2018 Spring Season. Each UPSL team is individually owned and operated, and is responsible for maintaining either UPSL Pro Premier or UPSL Championship minimum standards.